Is lavender oil good for hair loss? 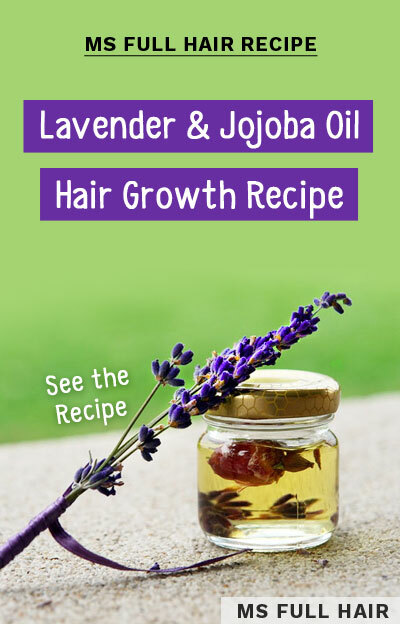 Can you use lavender oil for hair growth stimulant? Research studies found that lavender oil, best known for its therapeutic use, actually provides numerous hair benefits including stimulating hair growth. In this article, you will learn how lavender oil can help to prevent hair thinning. You’ll also see great detail on scientific studies using lavender oil for hair loss and some astonishing before and after results. Finally, we will review the 3 best lavender essential oils for hair growth (and what makes them so great) and 4 DIY recipes you can easily try at home. Click here to go straight to our reviews on best lavender essential oil brand. 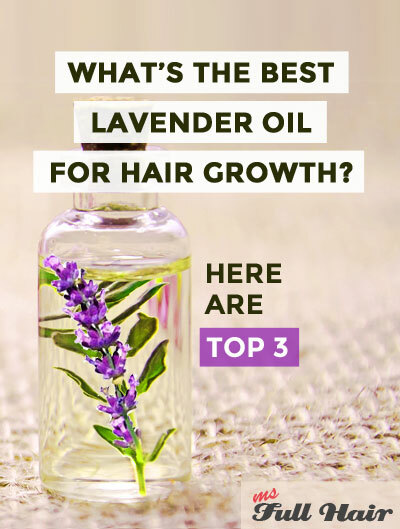 Top 3: What’s the best lavender oil for hair growth? 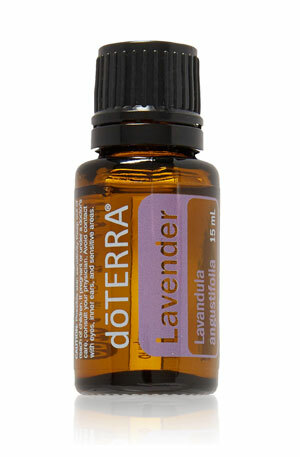 Lavender oil, also known as Lavandula Angustifolia, is no stranger in the aromatherapy world. 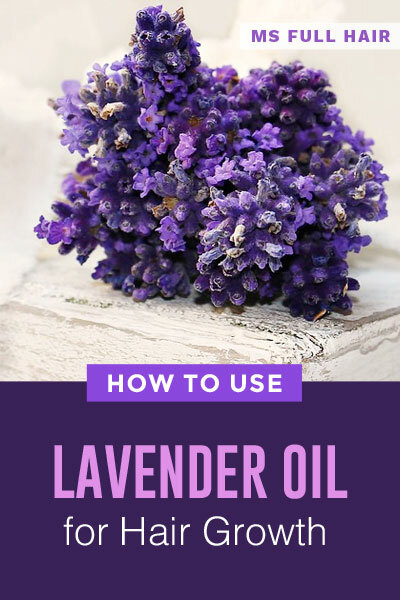 The oil is made from harvesting lavender flower shrubs. The top parts of these flowers are steamed and distilled for a period of time in low pressure to extract the pure essence. Why is lavender oil so popular? Lavender oil has multiple beneficial properties including anti-inflammatory, anti-fungal, antimicrobial, anti-bacterial, and finally antioxidant effects. This explains its various applications as a natural remedy for treating ailments including using lavender oil for hair loss. Did you know? It takes about 27 square feet of lavender plants to make 0.5 oz of lavender essential oil. That’s a lot of flower stems for such a tiny amount of oil! 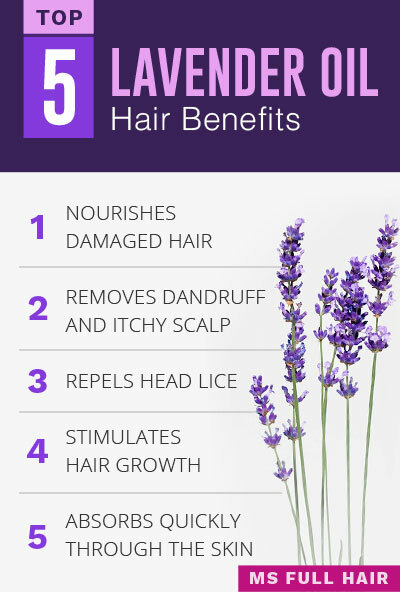 What are the benefits of lavender oil for hair? When your hair is in a badly damaged condition due to excessive use of styling tools and coloring, it can cause your hair to fall out prematurely. 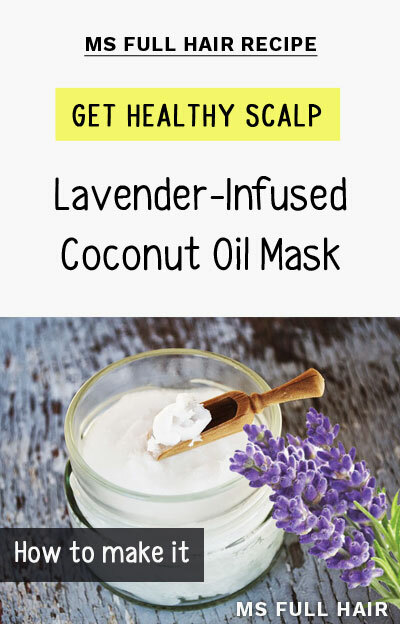 Lavender oil works as an amazing natural hair nourishing oil for hydrating dry, brittle and damaged hair strands (See our recipe #1 – Coconut oil & lavender oil hair mask for hair restoration treatment). Lavender oil has antiseptic, antimicrobial and anti-bacterial properties. These natural agents prevent the growth of micro-organisms such as fungal bacteria on the scalp. If you are suffering from dandruff related hair loss, lavender oil can be used to remove specific fungus that are linked to causing dandruff and seborrheic dermatitis on the scalp (If you are experiencing severe dandruff, try this shampoo). Lavender oil is a natural insect repellent and this also applies to the scalp, especially in regards to hair lice. A 2011 study published in BioMed Central Dermatology shows that you can effectively use lavender oil for hair lice. The study indicates that the combination of lavender oil and tea tree oil make a great natural hair oil treatment to kill live head lice and prevent further infestation. The study also found that 98% of the participants treated with these two oil mixture were free from lice after the first use. According to a number of studies (scroll down for details), lavender oil can be used for treating different types of hair loss including androgenetic alopecia (aka general hair thinning and also known as male/female pattern hair loss) and alopecia areata (bald patchy hair loss). The studies show that lavender oil works as a natural hair growth stimulant by increasing the number of hair follicles as well as dermal thickness. 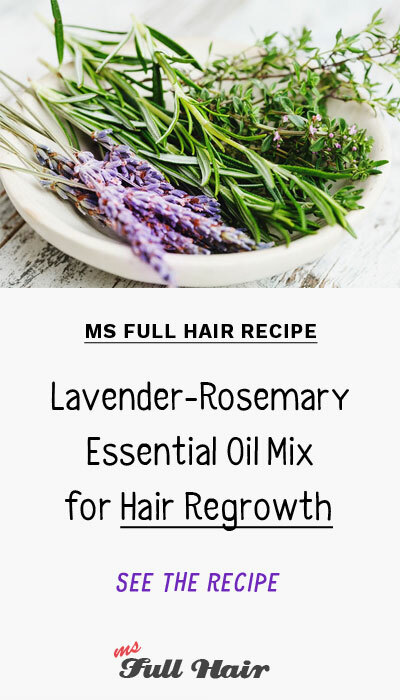 When you use lavender oil along with other essential oils such as rosemary oil and peppermint oil, it can work as a powerful treatment for promoting hair regrowth. In order to get the maximum hair growth results, massage the lavender essential oil mix into your scalp using our suggested recipes below. This will help increase blood circulation and ensure quick absorption by the skin. Linalyl acetate and linalool, the two main compounds of lavender oil, show up in the blood within only 5 minutes of initial topical application. Lavender oil’s quick and fast absorption to the skin makes a perfect candidate for the topical use of preventing hair loss. A 2016 study conducted by Korean researchers show positive results of using lavender essential oil for hair loss. The goal of this scientific experiment was to find natural oils that promote hair growth. They specifically focused on the effectiveness of lavender essential oil for hair growth stimulant and if it can be a substitute for minoxidil (the only FDA approved topical baldness treatment for regrowing hair). How long was the experiment? The treatments were topically applied to each group (100 μL per application), once a day, 5 times a week for 4 weeks straight. 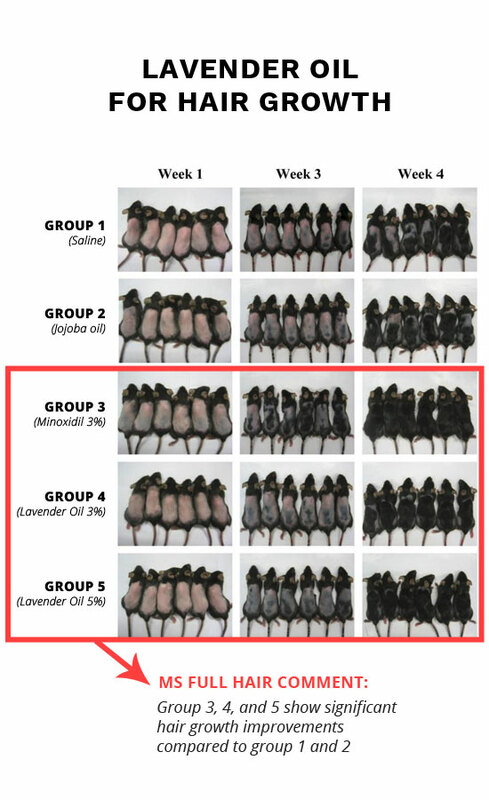 The above photo shows comparison of mice in all 5 groups. For the first week, you can see all mice started with similar baldness on their backs. 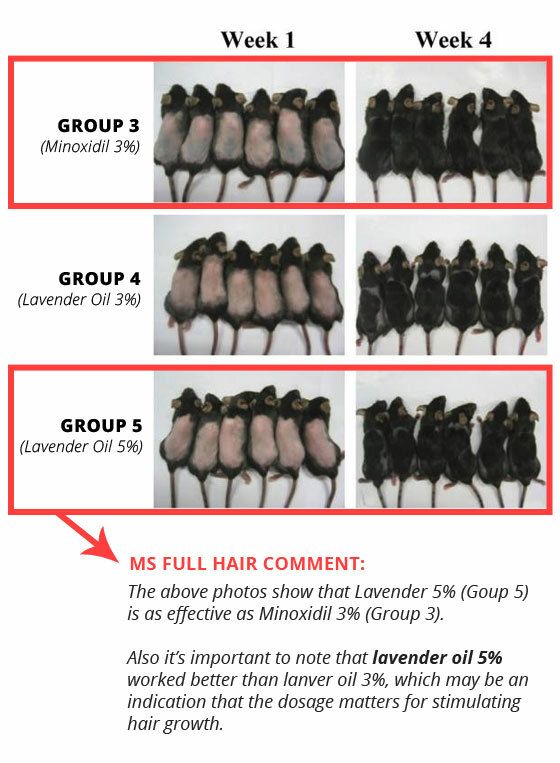 Group 3 (Minoxidil group) shows the best hair regrowth results above all (which may not be so surprising to many of you); however, it’s remarkable to see that group 5 (Lavender oil 5%) also shows significant improvement of new hair growth, 95%. Considering lavender oil is a natural remedy versus minoxidil being a drug-based treatment, the study shows promising results of using lavender oil for hair loss as a safe alternative. The study also adds that group 3 (Minoxidil), group 4 (Lavender oil 3%), and group 5 (Lavender oil 5%) showed significant increases and improvements in hair follicle numbers, hair follicle depth, and dermal thickness compared to groups 1 and 2. Does this mean lavender oil is the best oil for hair growth? The study shows that lavender essential oil is definitely a great candidate for preventing hair loss and stimulating hair growth fast (also read about peppermint essential oil for hair growth to compare). While the first study was an animal-based experiment, the next study was performed on humans, which gives more significance. Each group of the participants was instructed to massage the above hair growth oil mixture into their scalps every day for 7 months. 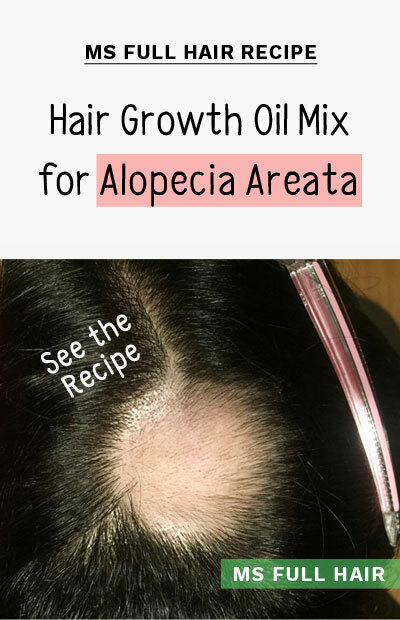 The study found that 44% of group 1 (essential oils + carrier oils) showed great improvement on alopecia areata, compared to only 6% of group 2 (carrier oils only group). Considering alopecia areata is a lot tougher to cure than androgenetic alopecia (pattern hair loss), the result is promising. Now that the studies show the benefits of using lavender oil for hair loss, let’s talk about which brand provides the best quality essential oil for the use of hair growth. Lavender oil is one of the most popular ingredients that are contained in beauty and skin care products. Unfortunately, most of these types of products have only a tiny amount of lavender oil in them, which would give no significant results for improving hair loss condition and preventing hair fall out. If your plan is to use it for stimulating new hair growth, the best option is to buy 100% pure lavender essential oil and mix it with your choice of carrier oils to restore your hair. Where can I buy lavender oil for hair? Lavender oils are available to buy at many online stores including Walmart, CVS, and, of course, Amazon (with the most selections to choose from). DoTerra is one of the few brands that go through a rigorous process to provide the truly pure and potent essential oils. The company even has its own testing process called “CPTG – Certified Pure Therapeutic Grade” to ensure 1) no chemicals or heavy-metals, and no fillers are included in their essential oils and 2) the purity and potency is at the maximum level for each batch. 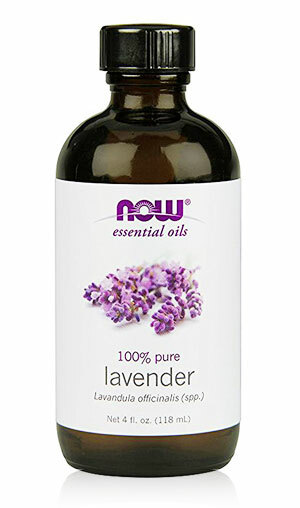 If you are looking for organic lavender oil that is 100% backed by quality, this lavender oil is the hands-down option. 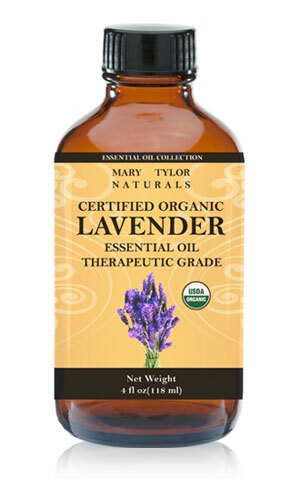 If you are looking for great quality with an affordable price tag, take a close look at Mary Tylor Naturals’ pure lavender oil for hair. This is the one of the few brands that is actually USDA Organic certified within an affordable price range. This lavender oil also comes with a dropper, which makes it very convenient when using a diluted ratio for making your own hair growth oil mix. You are probably already familiar with the brand. NOW, the company whose motto is “the quality for less” also offers a great selection of essential oils including this lavender oil. One of the reviewers actually went a step further and did a paper drop test (also known as a blotter test) using 4 different lavender oil brands (see the photo here under customer photos section). The blotter test is a simple method of checking the purity of an essential oil by dropping drops of it on a white sheet of paper. If the oil is pure, it will dry without leaving any residue. If the oil is not pure, it will leave an oily stain. Her test result reveals that NOW’s lavender oil shows complete absorption into the paper without leaving any residue (which means it is truly pure). You can clearly see the oil stain from other brands. Finally, another option you may want to consider is to buy a variety of essential oils as a set like this one. This is the most cost effective way if you are trying to make multiple versions of hair growth recipes to test them out. 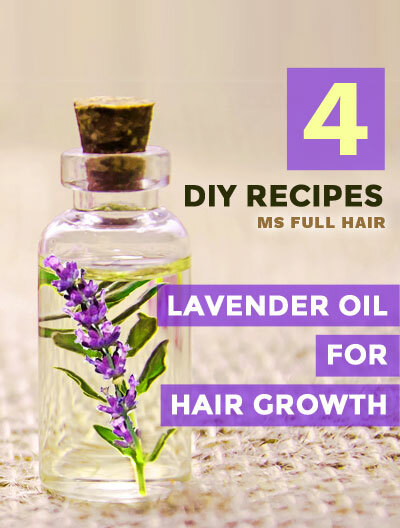 Lavender oil for hair growth recipes: Here are 4 DIY recipes on how to use lavender oil for hair growth as well as for hair loss prevention. Each recipe shows a step-by-step process on how to mix essential oils for hair growth and benefits of using each mixture. You should try this lavender essential oil mix for a possible alopecia areata cure (based on the study). Lavender oil side effects – Is it safe? Lavender oil is from a gentle flower plant, thus it’s likely to be safe for all uses. However, when you plan to use it externally (especially for hair loss), always mix it with carrier oil (such as coconut oil, olive oil, and jojoba oil) to dilute it from its powerful pure form. This will prevent any possible causes of increased skin sensitivity as well as irritation. WebMD notes that lavender oil applied to the skin may not be safe for boys before puberty due to the possible unbalancing of hormone regulation. If you are looking for essential oils for hair growth and hair thinning prevention, add lavender oil to your list. The research studies show that lavender essential oil works as a natural stimulant for regrowing hair as well as increasing follicle depth for healthy and stable hair growth. The best way to use lavender oil is to mix it with other essential oils such as peppermint oil and rosemary oil to enjoy multiplied benefits of preventing hair loss and promoting new hair growth. Have you tried lavender oil for hair loss? Share your experience in the comment! Thanks for the recipes! I also use lavender essential oil for relaxation. A little bit goes a long way. It’s one of my favorite scents for calming effects and making DIY beauty skin and hair masks. Hello, I had a question. How would 5% peppermint + 5% lavender + 5% rosemary + 100% grapeseed oil work as a hair regrowth?